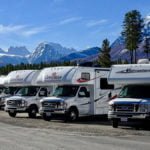 Well, perhaps that is not the question that’s on the top of your mind when you’re planning your next RV trip. 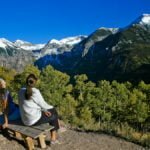 As you pack up to hit the road, it’s a given that you’re going to want to bring along food, beverages, and snacks along for the travel and that you’ll need them to stay cool and fresh for the duration of your trip. Instead, the question you should ask yourself is how do you want to keep your food chilled, since you have a couple options to choose from. 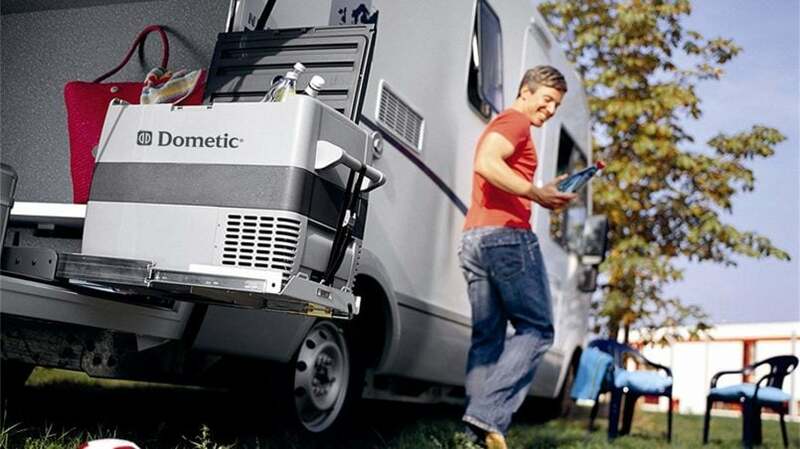 Electric coolers/fridges and old-fashioned ice chests are the two most popular choices for an RV cooler, but each has its own set of pros and cons to consider. Which one is best for you? Let’s find out. An RV fridge is basically a tiny version of a kitchen fridge that keeps cool without the help of ice. RV fridges come in a few different builds based on how they’re powered. 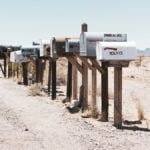 You can get a battery powered fridge, a fridge that runs off your RV’s power supply, or a solar-powered unit. No ice refills: Unlike a traditional cooler or ice chest, a fridge doesn’t need to be constantly filled with ice in order to keep its contents cool. For short trips like weekend camping this may not make a difference, but on longer excursions, you may get tired of having to stop at a gas station or convenience store every 2 or 3 days to re-stock up on ice. If you’re camping in a remote location, an ice-pick up might not even be a realistic option. No internal temperature fluctuations: Fridges provide a consistent internal temperature for your food and drinks, unlike coolers which gradually become warmer as the supply of ice melts. This isn’t the end of the world if you’re only using your cooler to keep drinks cold, but it’s not ideal for meat, fish, dairy, or other types of food prone to spoiling. Not to mention, melting ice can make for nasty surprises like soggy or waterlogged food. Need a constant power supply: Fridges are complex machines that convert raw electricity into cooling power, and maintaining a constant supply of power can be tricky on the road. 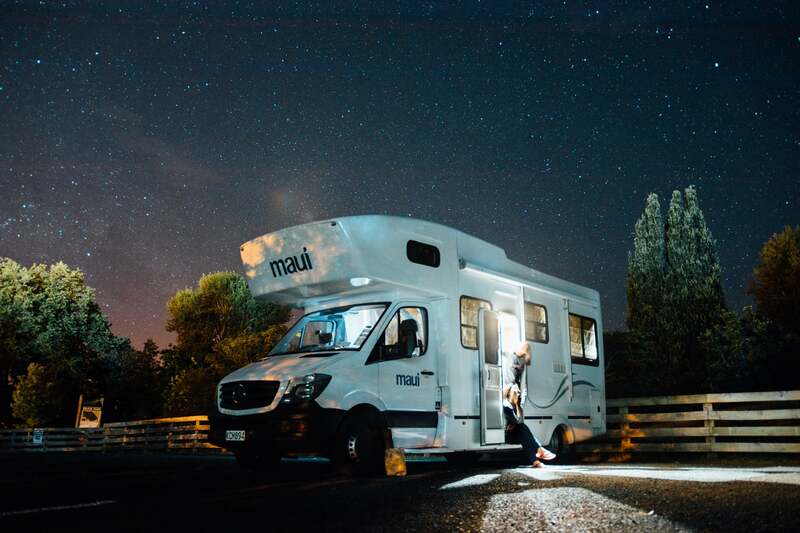 This isn’t really an issue as long as you’re driving, but if you’re planning to park your RV for a few days you’ll need an additional power supply. Pricey: It’s no secret that refrigerators are much more complicated in terms of design and machinery than a simple box filled with ice. With that in mind, it probably doesn’t come as much of a shock that fridges are more expensive, but that also doesn’t take the sting out of a price point between $700-$1,500. These aren’t your dad’s tailgating coolers that only kept drinks cool for a couple hours on a sweltering afternoon. 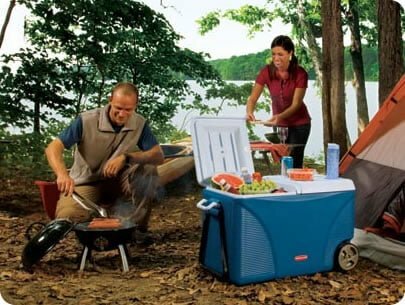 Modern coolers designed for camping are made with contemporary insulation features that can keep food and drinks chill for up to 4 days. Popular brands include YETI, Coleman, and Pelican, and with prices starting at around $50 for a Coleman and $200 for a YETI, ice chests are significantly cheaper than electric fridges. They’re reliable: They never burn out, lose power, or need their batteries recharged. You can take them with you: Want to have cool drinks and food outside the RV? Just carry the cooler out and set it up wherever you’d like it. When you’re ready to pack up, clean up is as easy as picking up the cooler and stashing it back inside the RV. They’re versatile: Extra surface to use as a small table, food prep area, or a stool. Ice needs to be re-stocked: Unlike electrically powered fridges, coolers are powered only by a steady supply of ice. Modern coolers can keep ice frozen for up to three days, but eventually, it will need to be replenished with a fresh supply. The more you open it, the less efficient it is: Much like opening an oven to check on a batch of cookies allows some of the heat escape, each time you open a cooler some of its frigid air will dissipate and be replaced by warmer, ambient air. Some travelers use a two-cooler system for this reason. How do you plan to keep cool? 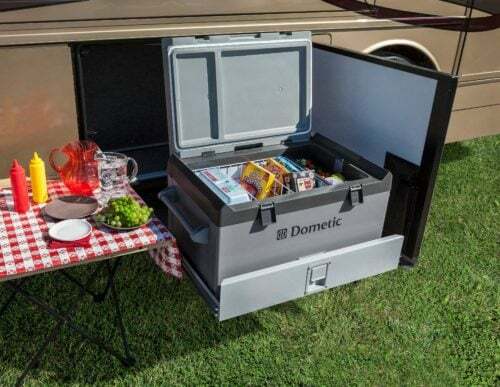 How to best keep your food and drinks cool while on the road in your RV is a matter of preference. Some people like the modern convenience of an electric fridge while others like the tradition and simplicity of an ice chest. Which RV cooler will you bring on your next road trip? Family vacations are a time-honored tradition passed from generation to generation with ease. Memories are made that live on in your children and your children’s’ children, just as those memories of your own childhood vacations have lived from long ago. Scary stories and s’mores around the campfire. Adventures in foreign hiking trails. Fishing along babbling brooks. Board games on fold-down dining tables as the rain patters on the RV window at your side. Family vacations are a long-standing tradition. One thing that has changed though, is how to pack everything your family needs into one RV. Grandpa might have known how to roll clothes up tightly and to bring along travel sized bathroom essentials and must-have camping gear, but fitting those beloved ride-on toys is a mystery that escapes even his wisdom. Here’s the best tips and tricks to effectively pack your kids favorite ride on toys in any RV. Just like deciding on the perfect swimsuit to pack, deciding on which ride on toys to bring will go a long way in packing efficiently. While the large quads, Power Wheels, and go karts might bring a lot of fun at home, more time-honored toys might prove to be a better choice. Rather than haul a giant golf cart to transport around the campground a scooter will be much more suitable. With today’s technology, many scooters feature lightweight designs that can be folded up to fit into small spaces. Scooters are easily stored in cargo areas of RV’s or even under your child’s bunk. They also provide easy transportation for those late night bathroom runs. If old-fashioned scooters aren’t your thing, kids’ electric scooters provide a great compromise to the golf cart verse traditional scooter debate. 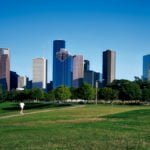 With more portable designs as well as the luxuries of a motorized ride, electric scooters for kids, are a wonderful choice for RV traveling. Another option to the high-speed dirt bikes and scooters are bicycles and tricycles. Bikes and trikes both are a wonderful trade in for the loud engines of their newer counterparts. You can find a variety of bikes and trikes with lightweight, fold-able frames to make carrying, packing, and hauling your kids toys a breeze. Kids’ Dirt bikes are also a great choice to keep thrilling adventures alive while not cramping your sleeping quarters. 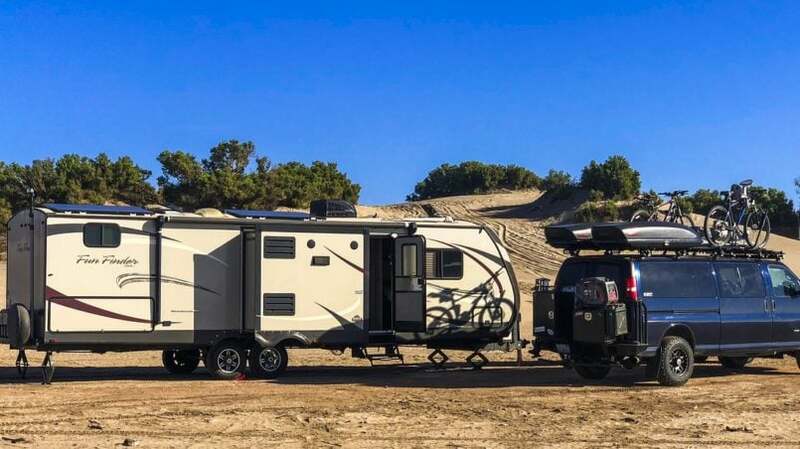 Smaller than a quad, more compact than a go kart, those dirt bikes for children still have the punch of fun your family vacation is looking for. Most importantly, the many options you have at transporting your ride on toys will make a considerable impact on your toy of choice. Trailers to haul anything you can imagine are available for purchase or rent in many locations. 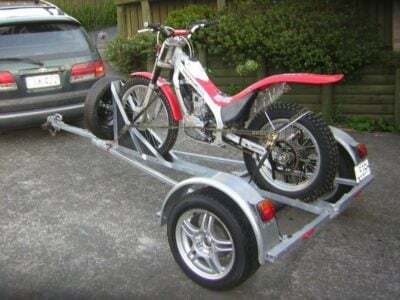 If you simply cannot leave home without your beloved large ride on toys, a trailer just the size you need will easily accommodate your needs. 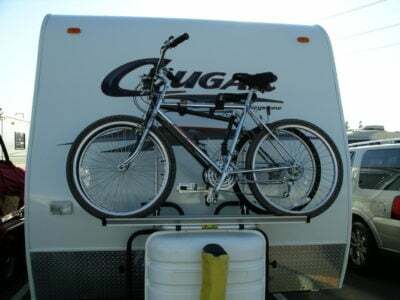 Trailers provide the luxury of hauling various items; such as the family bicycles, dirt bikes, and juniors stroller for those evening walks to the river bank. If you plan to haul a car behind your RV though, a trailer might not be a workable solution for you. Fortunately, there are a variety of storage racks to chose from as well. Storage racks are made in nearly every design you can imagine that are capable of carrying everything from the entire family’s bikes to a small cooler tied down in back. Diverse and functional, storage racks provide the added space you need to haul your toys without having to leave the family car back home in the driveway. Planning a family vacation can be a very stressful occasion. Beyond picking the destination, mapping out your route, planning your itinerary, you still have the long-dreaded packing to conquer. After sitting on the lid of your suitcase to get that zipper to close, listening to the kids fight over who gets the bunk closest to the window, and finding a way to strap down the coffee pot, loading those kids toys are the last thing you have the energy for. With these simple tips and tricks packing your kids ride on toys in your RV will be a walk in the park. 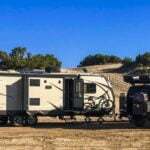 Chose the biggest punch of fun in the smallest package, keep all activities in mind, and, when all else fails, rent or purchase a trailer or storage rack. Before you know it, you will be on the road, making new memories of old traditions, and even have space to stretch your legs along the way!